Hi there! If you’ve been reading you may remember me mentioning my recent graduation from the University of Hull with my Ba Hons degree. 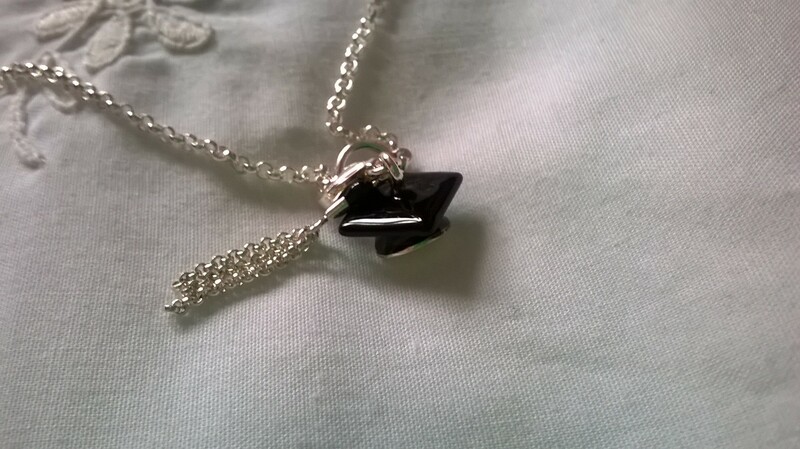 It was a wonderful day, and because I’m a super lucky girl, I was treated to a gorgeous piece of jewellery to celebrate! Now, if any of you know me, you’d probably know that I’m really rather fond of jewellery, particularly if it’s sparkly. It’s definitely a favourite thing of mine and I’m extremely lucky to own some truly gorgeous pieces. Jewellery is something that holds so many memories for me, and I truly take comfort in wearing pieces that mean a lot to me. I have pieces that have been handed down through family, and also from a range of designers including Links of London, Pandora, Daisy and lesser-known designers, like Charlotte Verity. I also have a gorgeous, bold and bright ring by Thomas Sabo. 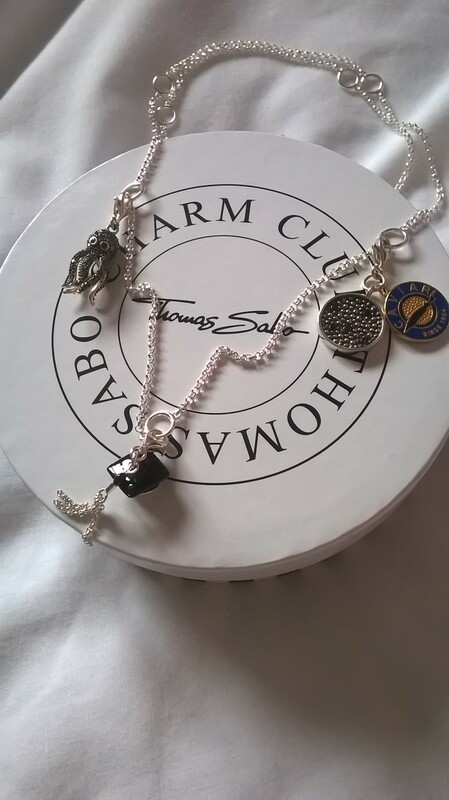 I bought this for myself when I completed my A-Levels, and it was the first piece of Thomas Sabo I had the pleasure of owning. It’s very ‘me’; bright, unusual and definitely not subtle. 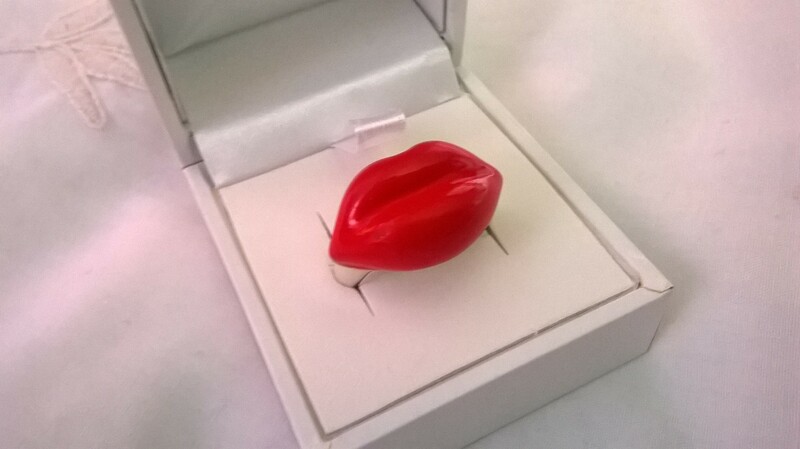 Plus, I love a good strong red lip so it was just the perfect ring for me. 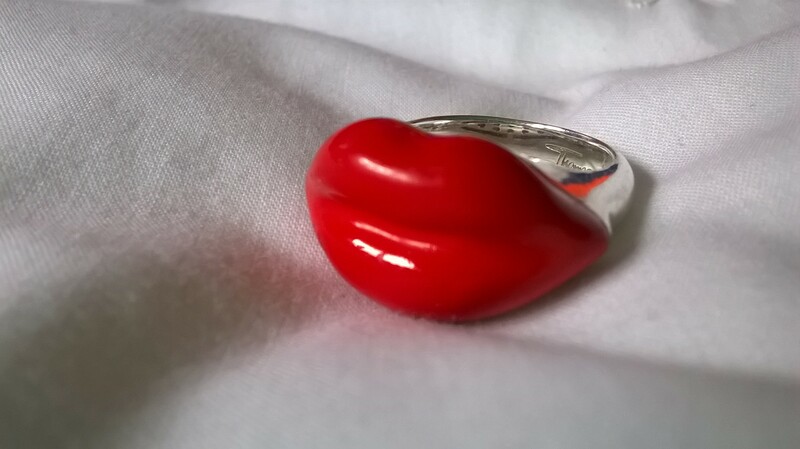 The ring itself is solid sterling silver, and is enamelled over the top with a bright, shiny red enamelling. Considering I’ve had it for nearly four years and have worn it regularly, it has barely scratched at all and has remained bright and in-your-face ever since! I’ve known that Thomas Sabo has long been famed for quirky, unusual designs and this definitely matches that description. For a long time I’ve been lusting over a gorgeous green tree frog ring, and to be honest, when dad kindly offered to buy me a graduation present I was hoping to find that very piece! After a few hours of searching, I couldn’t actually track it down, so I decided to look elsewhere. Being a big Links of London fan, I was thinking about getting one of their Skull friendship bracelets, like the rose gold version here. But, I have many Links of London bracelets including a silver sweetie, worry beads silk bracelet, and rose gold vermeil xs effervescent friendship bracelet, and as much as I love them, I thought I’d search for something a little bit different. That’s where Thomas Sabo came in and saved the day! Every time I’ve been into a Thomas Sabo store, I’ve gazed longingly at their huge selection of adorable, intricately detailed charms. There’s a charm to suit everyone; from sparkly, zirconia-encrusted animals to tiny red cabriolets and simple silver initials, the choice of charms on offer is enormous! As I was browsing through House of Fraser, I came across a Thomas Sabo stand with a gorgeous sterling silver necklace on display. 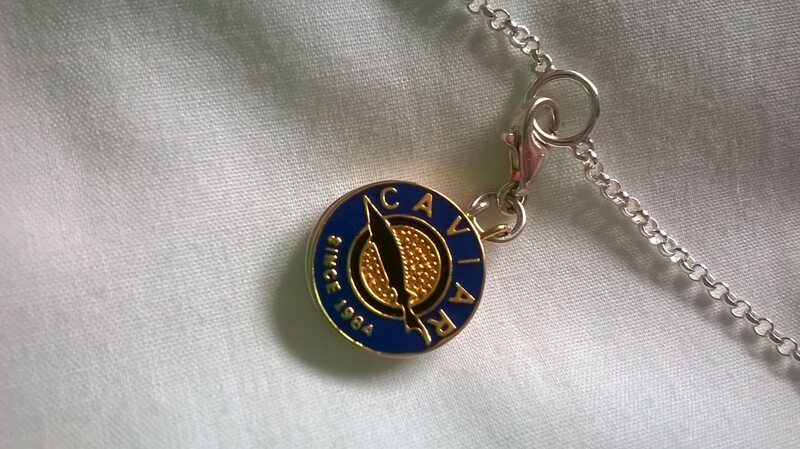 I soon learnt this necklace was created so that the wearer could wear multiple charms on it, and this really intrigued me! My mind was made up; the necklace was something really unusual and special, and i could continue to add to it in the years to come. So with my mind made up, it was time to pick out some wonderful charms! Dad suggested I pick out three (I was completely spoilt, I know!) and so the first I chose was a pretty obvious choice…a seriously cute mortarboard, complete with a tiny tassel! The mortarboard itself is enamelled in a bright, shiny black enamelling, with a tiny, moving tassel attached to the top. It’s the perfect charm to remember my graduation day by. The other two charms weren’t really at all related to graduation, but they are extremely intricate and very lovely! 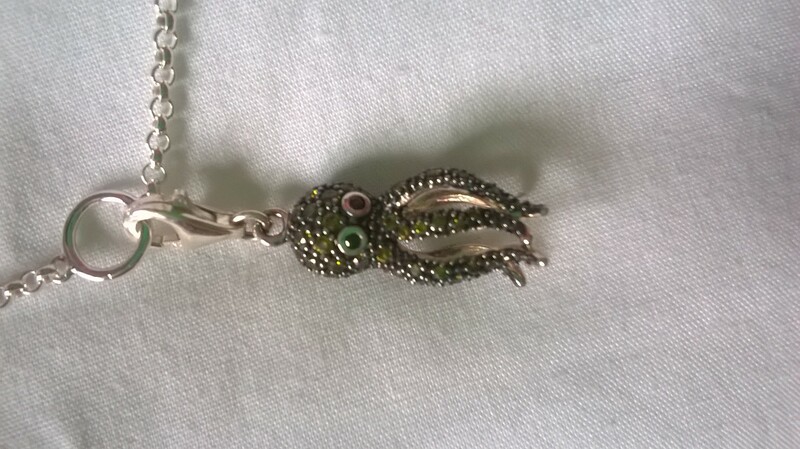 I saw a tiny, sparkly wonderful octopus charm, and I just new I had to have him! 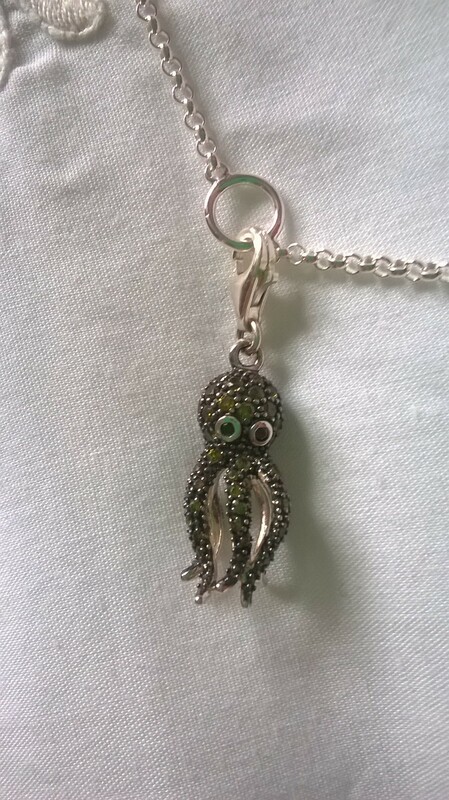 The octopus is also crafted from sterling silver, but is covered in a gorgeously sparkly green zirconia pave. He also has lovely black zirconia eyes, and he’s seriously very sweet. Though he is small, he is indeed perfectly formed, and if I’m honest my photos really do not do him justice! I still had one more charm to find, and so I popped into Hugh Rice jewellers to see their selection, as sometimes the charms on offer differ from store to store. Again, there were so many wonderful charms to gawk at, but one in particular caught my eye because it is so unusual. 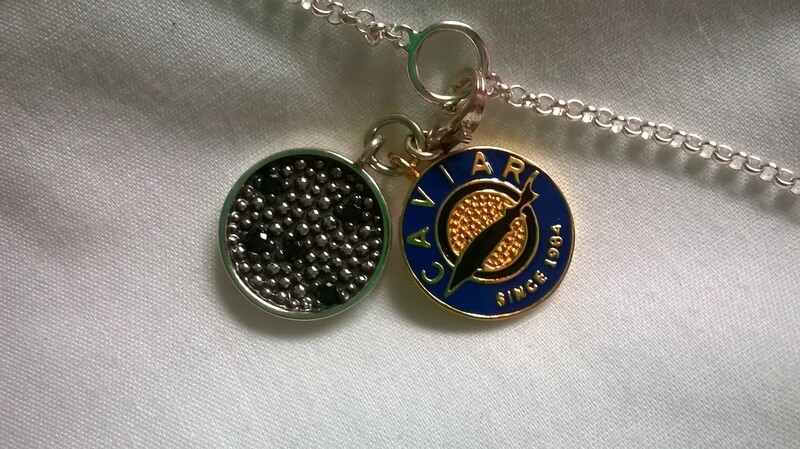 It is the gorgeous caviar charm, and is definitely a little bit of something special! The charm itself resembles a pot of caviar, and so the front is enamelled to emulate that. 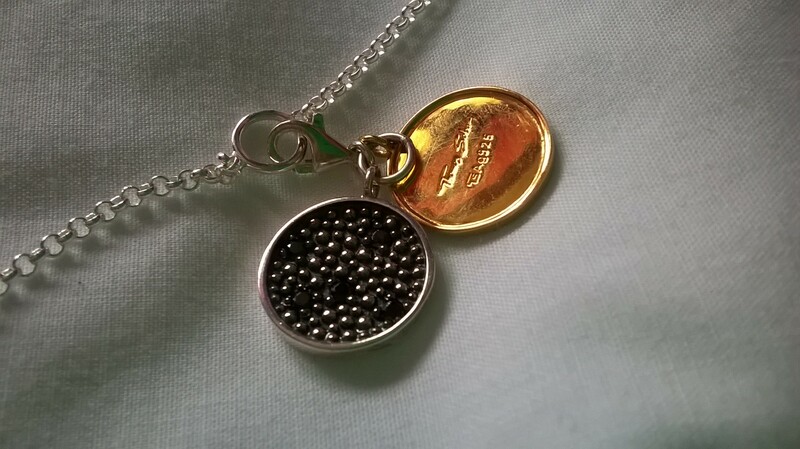 The ‘lid’ of the charm is plated 14k gold, and when flicked open, reveals a glistening pot of ‘caviar’ studded with black zirconia and crafted out of sterling silver. It’s seriously gorgeous, and such a stunning and unusual piece. All three charms attach to the rings on the necklace with sterling silver lobster clasps, so it’s easy to remove/add new charms whenever you fee like it! I have been enjoying this piece very much, and I’m so fortunate to own such a gorgeous item. 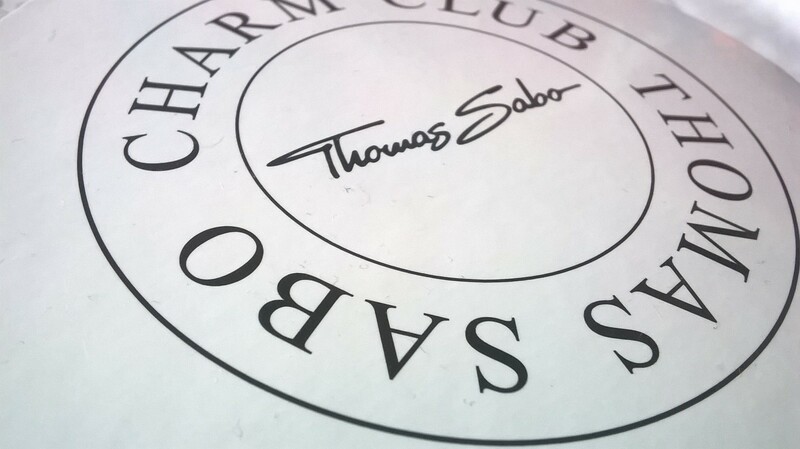 You can see if any of the charms take your fancy over on Thomas Sabo , or pop into a jewellers and ask to see their selection of items as they vary store to store. 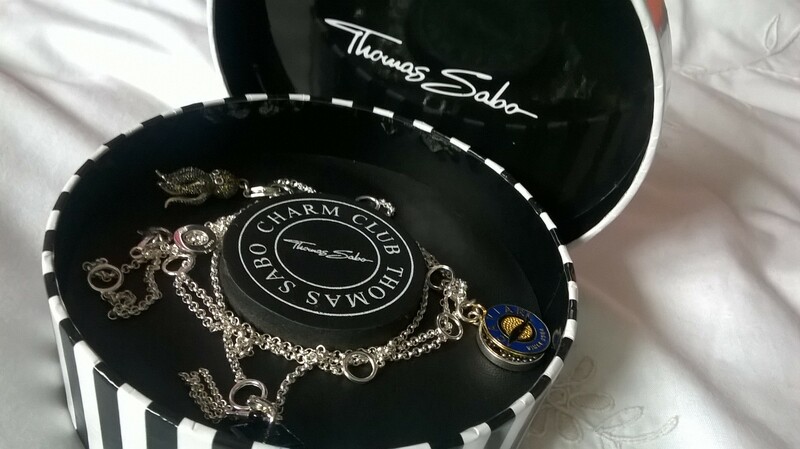 I’ll be sure to post some pictures of the necklace on an outfit post or similar, as it is very long, but I really recommend checking out Thomas Sabo if you fancy something unusual and very intricately detailed. I hope you’re having a great week whatever you’re up to!